Ajay Devgn blows up 50 cars at an average, especially when he joins hands with Rohit Shetty, case in point being SINGHAM and GOLMAAL series. Shahrukh Khan too went many steps ahead when he destroyed an entire car yard in RA.ONE. He did show restrain in DON 2 though one waits to see how many explosions Akshay Kumar and Salman Khan create in their upcoming action outings ROWDY RATHORE and EK THA TIGER. However one man who doesn’t wish to over indulge in such brand of action is Saif Ali Khan. 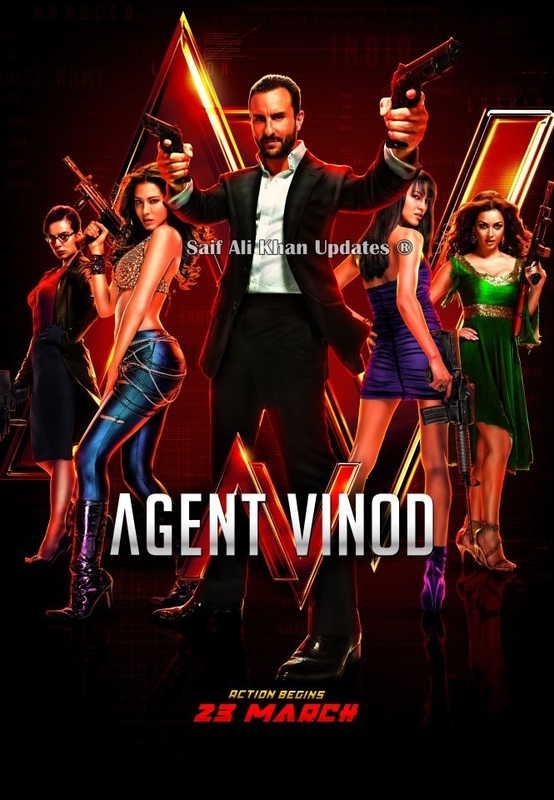 Another line of thought that Saif and Sriram carried was the familiarity factor that Indian audience are carrying today when it comes to action imports from the West. With dubbed versions of BAD BOYS and FAST AND THE FURIOUS series reaching the nook and corner of the country, the makers felt that it would be futile to try bettering sequences from these films. An agent who doesn’t overdo his act? Well, we would certainly like to see his modus operandi at play here!